When our gas tank is nearing the empty mark we head on over to the gas station and fill it up, but so often we forget to do the same things for ourselves. Yesterday as I looked around both physically and mentally at the mess I was living in, I knew I needed a recharge. I knew I needed a break from blogging, from my vintage business, and from stress. I also am keenly aware that I don't function well when the space I am living in is a mess. So instead of doing the normal things I would do to recharge like reading a book, going for a walk, or just sitting and contemplating, I spent the day cleaning. 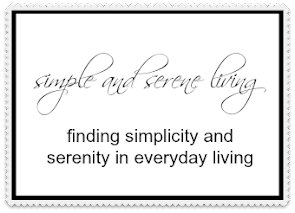 While I was cleaning, I also felt many of the cobwebs in my brain clearing away. By the end of the day I felt much more tired, but it was a good kind of tired, and I felt no guilt for the time I spent away from all of my obligations. 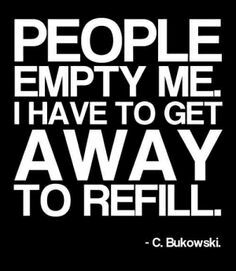 So, if you need a refill. Take it. Do whatever you need to do to recharge. It is time well spent. Oh how I can relate to this post! I'm glad that you took time off to do what you needed and didn't feel any guilt about it. I feel that way sometimes myself. I can relate to needing time to myself to get things done that will make me feel more accomplished and organized. Those are necessary breaks.